We're back after 5 fantastic days in Prague. It didn't take long for us to fall for this historical Bohemian capital with it's medieval architecture, intriguing history, cheap beer and friendly people. The history is fascinating; founded in 885 it's been through the hands of Good King Wenceslas, King Charles, the Hussite revolution, Nazi occupation, communism, and the Velvet Revolution. Prague is home to the world's oldest, working astronomical clock and the world's biggest ancient castle and countless other sites including the historic centre, on the UNESCO World Heritage List since the early 90s. 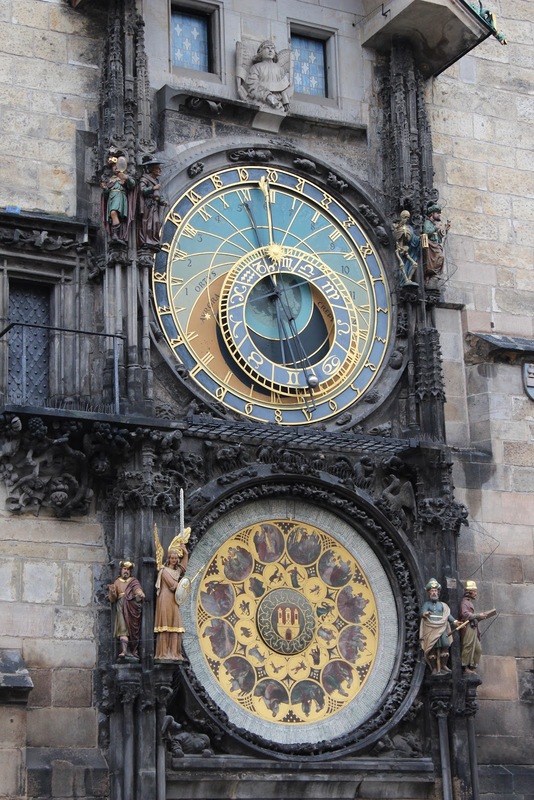 Installed in 1410, the astronomical clock celebrated it's 600th birthday in 2010 and it can be found in the Old Town Square. As we stood waiting for the hour to change, Joe and I joked that probably nothing would happen but when the skeleton started ringing the bell, the doors opened, the characters started rotating through and finally, the trumpet sounded from atop the tower we couldn't help but feel as if we were in a fairytale. With 5 full days to explore the city, we could take our time, stopping periodically to warm up with tea or hot chocolate or pop into a pub to sample czech beer. We appreciated the walkability of the city, hardly needing public transport or taxis as we wandered from site to cafe to street to pub. There's a lot to share - the Prague Castle, the Christmas Market, the Jewish Museum, a monastery - too much for one post thus they'll be popping up over the next couple of weeks. Hope you have a lovely weekend - we're looking forward to our first Norwegian Christmas Market and a little downtime. Pretty! We may just have to add this to our list of places to see. How are the prices?? Those statues are haunting. What were they from? They are, aren't they? I don't really know anything about them. We came across them on our way to the funicular. 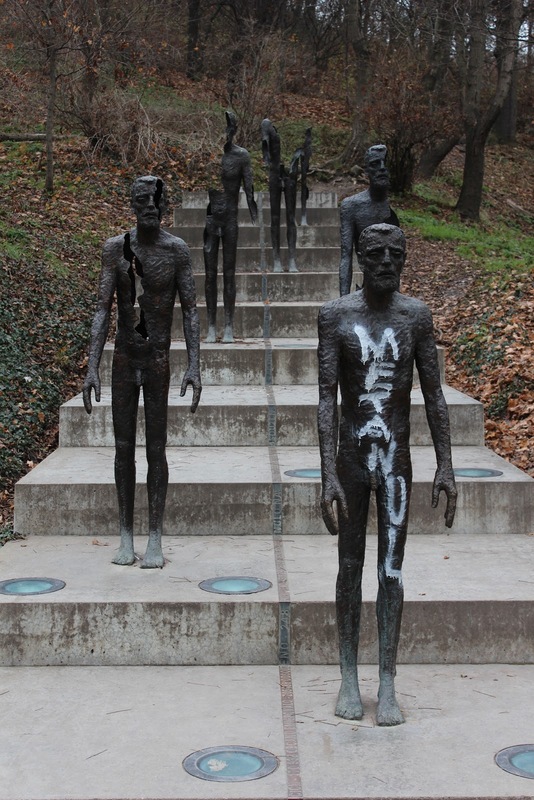 Prague had a lot of cool, contemporary street art. It sounds like you had a fantastic time! I would love to visit Prague someday. From seeing your pictures, it looks beautiful! Such beautiful pictures! Your newest follower! Looks lovely! I went there once and was unfortunately sick so I missed out on most of the city :( but these photos definitely make me want to head back! That first picture was so gorgeous-well done!